Eve & Nico showcases beautifully handcrafted baskets and jewellery from indigenous tribes of Africa in line with Fair trade policies. 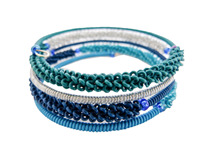 Eve & Nico encourages the preservation of traditional weaving skills and empowerment of global communities. 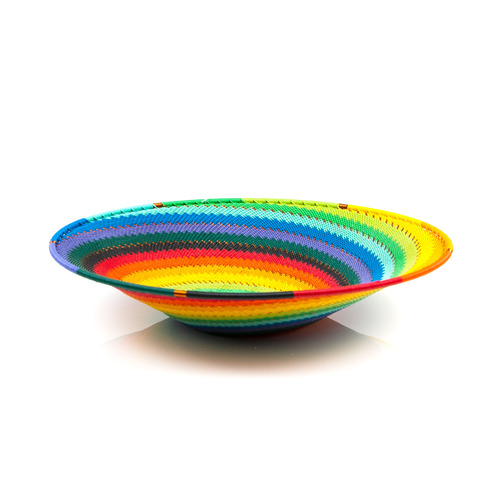 These Decorative baskets are hand-woven out of telephone wire. This is traditional Zulu work and it is made from coils of telephone wire wrapped around a solid metal core, to define its shape. 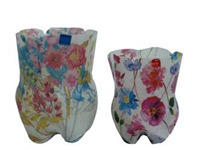 There's a modern twist to ihow they are made with the infusion of bright colour patterns. The intricacy in the design makes these baskets so precious due to the long production days involved in its design. 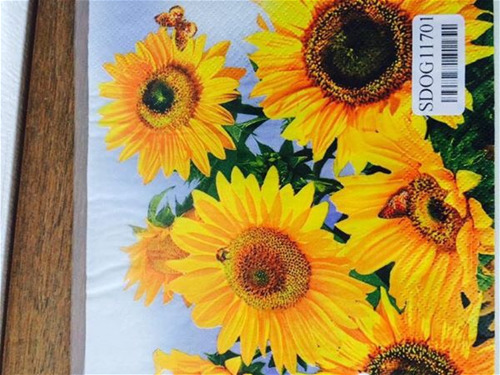 They can be used as a group of wall decor, perfect in the office, as a catch-all for desk accessories, or by your bedside for jewelry. They also makes for fun, unique and wonderful gifts. 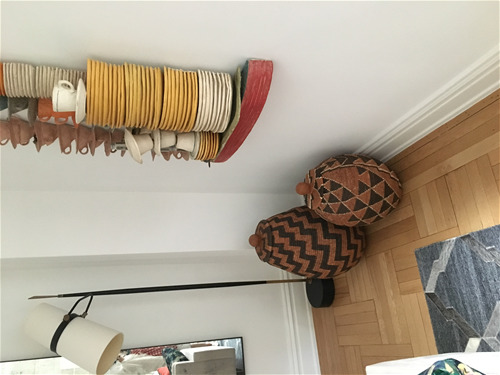 These baskets are an intergral part of the African culture. 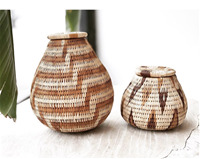 These vintage baskets are made with fibre of the "vegetable ivory" palm tree, called Mokola. Baskets are a common sight in rural communities, but have expanded due to the diversity of weaving techniques, designs and the use of colour. These vintage baskets make some of the finest of art forms found in the world. 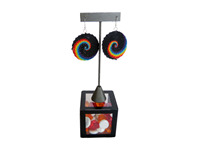 These beautiful Colorful, round, light weight earrings are made out of recycled telephone wire. 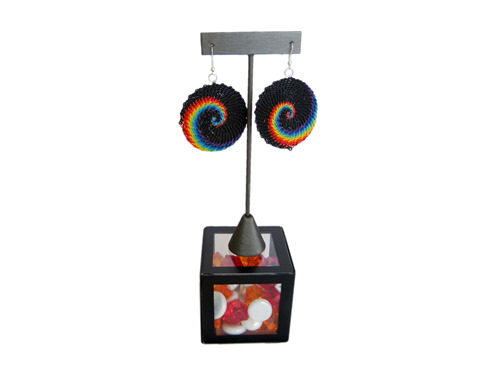 The fun multicolored designs of the popular South African Zulu handwoven baskets can now be worn in the form of these colorful rimless telephone wire earrings. The patterns vary and they hang on stainless steel hooks.